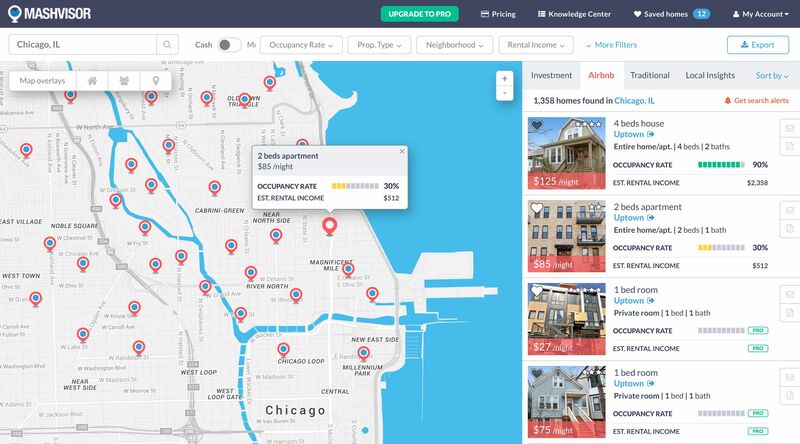 Find the best traditional and Airbnb rental properties in a matter of minutes using predictive qualitative and quantitative analytics and property comps using a single platform. One tab. One platform. A digital workbench for all of your investment needs. Property type: Single-family homes, condos, apartment…etc. A neighborhood of your choice. Property’s profitability: CoC Return, Cash Flow, or Cap Rate. Property’s characteristics: Age, renovation costs, number of rooms, square footage…etc. Your finances: Mortgage type, loan interest, loan payments, or down payment. Compare quantitative data based on the property’s square footage and the number of bedrooms/bathrooms. Compare qualitative data based on CoC Returns, Cash Flow, Occupancy Rate, and Cap Rate. Compare properties based on rental strategy: Traditional (long-term) vs Airbnb (short-term). Use the heat map to get a quick visual indication of the area’s characteristics, strengths, and weaknesses. 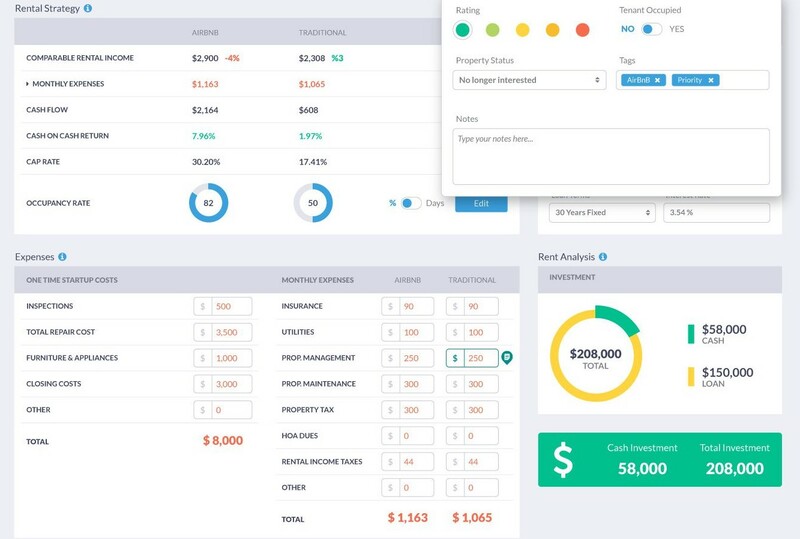 Hover over a property to quickly get specific information related to that property. Click on the local insights tab to get up-to-date news and insights related to the market status in that area. 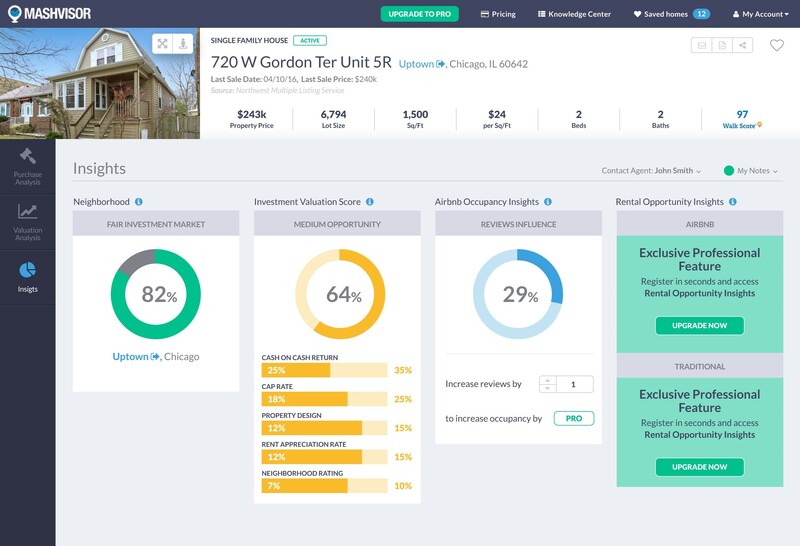 Filter out properties that you’re not interested in based on your metrics of choice. Analyze the property’s CoC Return, Median Price, Cap Rate, and Cash Flow, and compare them to the area’s averages. Set the values of the expenses such as taxes, loan payments, water and electricity, reparation costs…etc. Calculate values based on traditional and Airbnb rental strategies to determine the strategy that is more suitable for you. 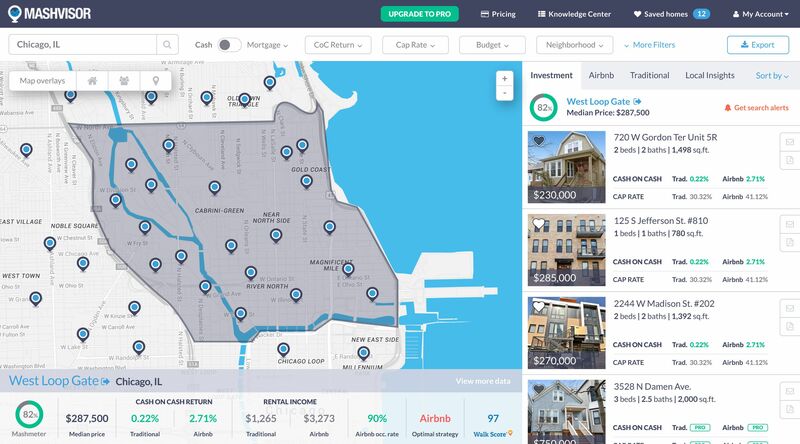 Get estimations of the property’s occupancy rate based on historical data.